Title Alliance, a leader in joint ventured title insurance agencies, continues its western growth in Arizona by teaming up with RE/MAX Professionals, an affiliate of the international RE/MAX network. Title Alliance Professionals marks the second Title Alliance affiliation in Arizona. We needed to partner with a company with the highest integrity who we trusted. We did our due diligence and partnering with Title Alliance made sense on a cultural and business level. We are excited to begin this ride together. 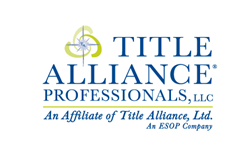 For additional information about Title Alliance Professionals, visit the official website at http://www.titleallianceprofessionals.com. For additional information on RE/MAX Professionals or for office locations, visit the official website at http://www.joinrmxprofessionals.com/.